CENTRAL VALLEY – Adventist Health / Community Care has welcomed Dr. John Zweifler, MPH, as chief medical officer of 38 rural health clinics in the central San Joaquin Valley. The clinics, located in Kings, Kern, Tulare and southern Fresno counties, experience over 400,000 patient interactions a year. 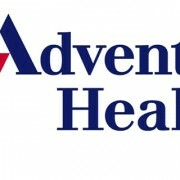 Dr. Zweifler, a board-certified family physician who has 30 years of experience in medical leadership and patient care roles, will oversee Adventist Health’s Community Care provider operations, ensuring that the clinics provide high-quality care aligned with licensing standards and best practices. Dr. Zweifler will also care for clinic patients and participate in clinic budgeting, strategic planning and policy-making. Dr. Zweifler has had medical leadership experience as the residency director and chief for the University of California, San Francisco – Fresno Family Medicine Residency Program, deputy medical executive for the California Department of Corrections, and medical director for several community health care centers. He currently serves as a clinical professor for UCSF-Fresno and has served as an expert consultant for the Medical Board of California and the California Office of Patient Advocate. In addition, Dr. Zweifler has been the lead author of articles published in multiple medical journals. In addition, Dr. Zweifler will support and consult with Adventist Health’s two Graduate Medical Education Residency programs to ensure regulatory compliance and program growth, and will assist in practitioner scheduling and review. The Adventist Health Hanford Family Practice Residency is the first in the Valley to be affiliated with the prestigious Loma Linda University Medical Center and the first residency in Kings County, training 12 physicians every year. The Adventist Health / Community Care – Selma clinic, next to Adventist Medical Center – Selma, also trains physicians affiliated with UCSF-Fresno. Dr. Zweifler earned his medical degree from the University of Michigan Medical School in Ann Arbor and his master’s degree from the University of Michigan School of Public Health. He enjoys spending time with family and hiking, biking, music, sports and politics.